SO CLEAN YOU CAN SEE YOUR REFLECTION! 1. We begin by assessing the BBQ Grill therefore determining how to proceed. 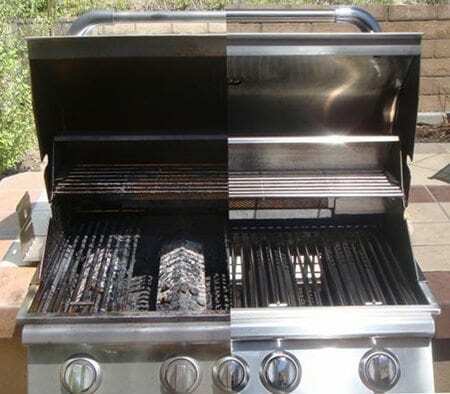 • Sometimes, cleaning and or restoring the grill is not worth it. In such cases, Grill Tanks Plus will help you select & install the best BBQ Grill to meet your needs. 2. We start by dismantling the bbq grill pulling out the parts that can come out. 3. We then find a good work area and bring those parts over for refurbishing. 4. We then continue the job by cleaning the cook box and island. 5. We go through every nook and cranny, making sure no debris is left behind anywhere. 6. We then wash the cook box out "with the Grill Tanks Plus proprietary method" and polish everything up - inside and out. 7. Next we hit all the internal parts like grates and burners. 8. Finally, we put it all back together and thoroughly test the grill. In this process we investigate everything - even testing the regulator. We then make our recommendations for any further service needs. 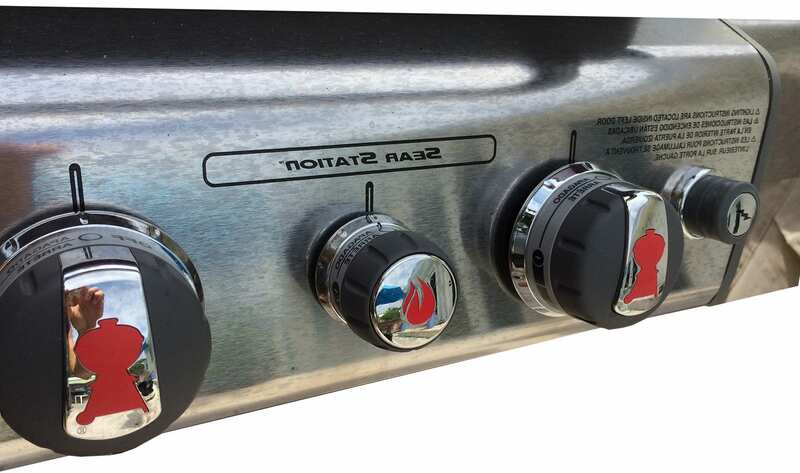 GRILL TANKS PLUS was founded in Delray Beach Florida in 2011. Since then we have grown exponentially and so too has our service area. Please call us today to see how Grill Tanks Plus can help you to better enjoy your outdoor kitchen life! Anyone that has tried to clean a BBQ Grill knows it’s a tough and messy job. That is if you really want it done right! The term “elbow grease” aptly applies here. Now no need to panic! All that is required here is a bit of knowledge. As to how to cook your food its simple, cook with low heat and try now to char the meet. But the most important part of this is to KEEP THE GRILL CLEAN. Of course, we all know the first place char tends to build up is on the cooking grates. That’s the #1 source of harmful carcinogens. Obviously, it builds up on the grates continually exposed to heat and gets on the food. 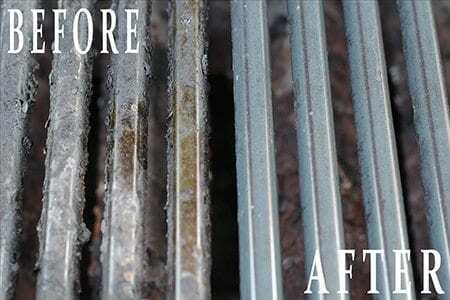 A regular BBQ Grill cleaning routine will prevent any potential health concerns. So why Grill Tanks Plus? 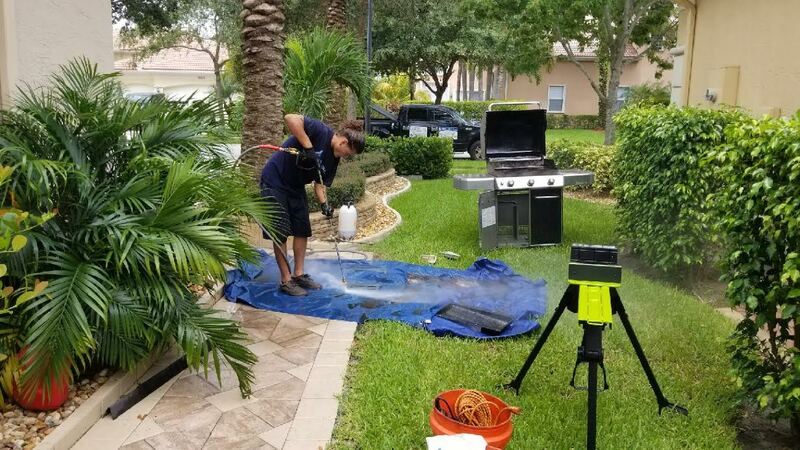 When it comes to BBQ Grill Cleaning we have the expertise as well as proper equipment for the job! Take a look at the following image. There, of course, you see the carcinogen rich char but also we see a wire brush is used. Did you know it’s very important to make sure you are using a new wire brush? These kinds of brushes become brittle very quickly and it has happened many times that people experience complications due to wire pieces breaking off and finding their way into the food – that can’t be good for digestion! With us, you can rest assured that we will get the job done professionally. Most people just want to clean the grates up and move on. Take a look at the following image. 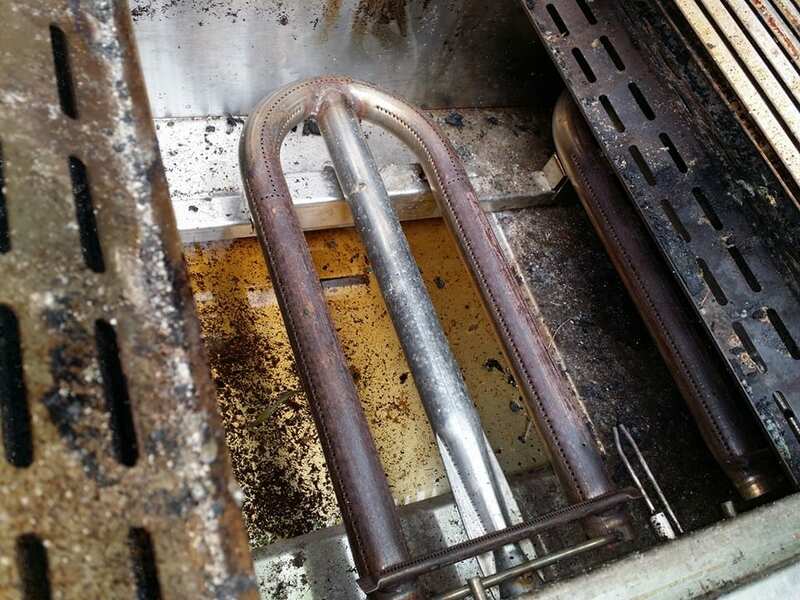 At Grill Tanks Plus, being in South Florida, what we see a lot of is a mixture of rodent droppings, insects, and charred food. The health concerns here are rather obvious. Its not always easy to get to the bottom of the cook box and requires special tools. 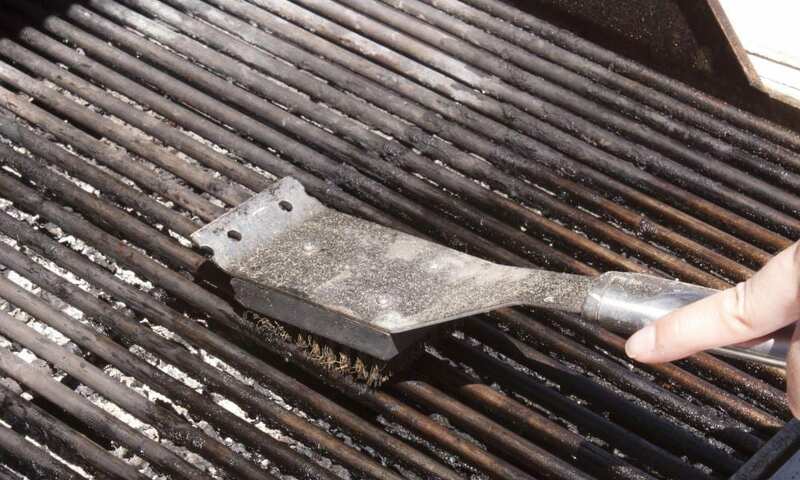 To skip this part of the BBQ Grill Cleaning process is a mistake. If you are unsure of what you are doing let us help you! When it comes to BBQ Grill Cleaning – Grill Tanks Plus! Business Address: 1414 SE 1st Street, Unit 9, Boynton Beach, Florida, 33435, US |Tel: (561) 244-2534 |Email: ricardp@grilltanksplus.com.